A radiant sunshine motif, symbolizing the love and warmth between a mother and daughter, takes center stage in this glamorous long necklace. Plated in rose gold with a sparkling white 'dancing' centerpiece, it would be a perfect gift to say 'You are my sunshine' this Mother's Day. 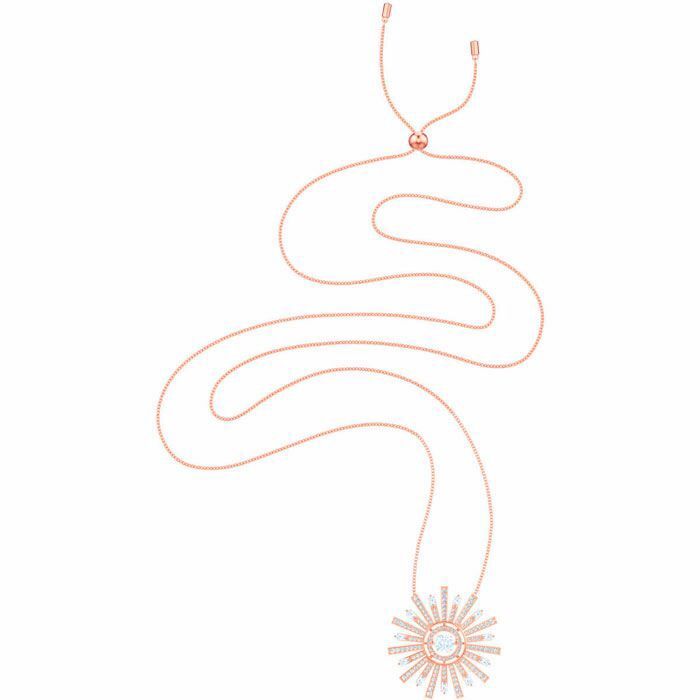 A timelessly elegant design to light up any look, from sunrise to sunset.